The following candidates have been nominated for election to the 2016/17 TRUSU Board of Directors. Below you will find photos of each candidate along with a short bio and links to their social media and emails. Please feel free to contact candidates to ask questions and find out more about why they want to be your representative! Voting will take place on March 30th from 8AM-4PM, March 31st from 8AM-8PM, and April 1 from 8AM-4PM in the TRUSU Boardroom. In order to vote students just need to bring their student card or any form of photo ID and their student number. The President serves as the chair of the board of directors, the chair of the student caucus, and the chair of the policy committee.They are a member of the executive committee and serve as the media spokesperson. The following students have been nominated for the position of President. Click on any of the names to the left to view the profiles of each candidate. On March 25, the Students’ Union hosted an all candidates forum. This video contains the opening statements, answer to the question from the electoral committee, and closing statements of all of the candidates seeking election to the position of President in attendance at the forum. My name is Brian Chiduuro. My inspiration to run for President comes from the priceless memories made through the events and opportunities availed to me by the Student Union. To show my appreciation, I feel obliged to give other students the same experience by running for Presidency of TRUSU. I am a friendly and approachable person with the passion and commitment to take our union forward. Despite of my good experiences with TRUSU, I unfortunately realized that most students do not share the same thoughts or regards concerning TRUSU as I do. By talking to most students, I learnt that we share some of the same concerns and hopes about the university and our education and found that some students have great and proactive ideas but lack a platform on which to address them. Many of these students were unaware of TRUSU and its agenda and unlike our neighboring colleges (UBC and SFU), students at TRU aren’t as engaged with the student Union. This is not because they don’t want to but because the outreach is low. I was not only so disheartened by this but also motivated to create awareness of the great TRUSU and hence my venture into Presidency. Another issue that has rattled me for a while now is the current student parking system. It is common knowledge that most students run on a limited budget and hence a more pocket-friendly system needs to be put in place. Students should only pay for the hours that they park for and not a daily fee. Enforcing a ride-share program would also help. Thus, leaving students with more savings for other important activities. Despite TRU being a diverse and cosmopolitan university, integration and overall global competency needs to be improved. I promise to organize a lot of fun events that foster and encourage mingling and integration. Head choreographer of TRU 560 dance group. Board member of Design Guys Company. CEO of Brooke Brothers clothing company which has a sole purpose of generating revenues to financially help under-privileged African Students. Executive events coordinator of Men of Destiny, a group which empowers and educates Christian youth at TRU. Taking on these various roles has nurtured and reinforced my leadership and inter-personal skills. I am an excellent listener and an eloquent speaker who can effortlessly communicate with people from all walks of life. Melissa Gordon – more commonly known as “Mel” or “Gordo” – is a 4th Year English and Political Studies student at Thompson Rivers University, and is seeking re-election as President of the Thompson Rivers University Students’ Union Board of Directors for the 2016/17-year! Melissa’s continuous passion and dedication to the student movement has not ceased. With her positive, and open-minded personality, Melissa has proven that she has what it takes to be a successful President of the Students’ Union. Her accomplishments on the Board, include: providing International Students’ access to extended health and dental coverage through the Students’ Union Health and Dental Plan, implementation of Student Course Evaluations in every course every time to ensure that students can provide formative feedback to TRU’s devoted Faculty, and an increase to the amount of study space accessible to students on a 24-hour basis. She is consistently driven to improve students’ experience on campus. This year, she is running with a representative, dedicated group of individuals – TRYOU! TRYOU is committed to bring more accommodating, accessible, and affordable change to campus. Melissa, along with TRYOU, will actively work towards improving food services on campus, eliminate the uncertainty of course planning with guaranteed course offerings, provide an environmentally sustainable approach to the Union’s campaigns, and work to ensure that every student feels safe and engaged when they come to campus. She has a total of three years experience as a student representative on institutional committees, and is currently standing on the Student Retention Advisory Committee, Accreditation Steering Committee, and the Policy Sub-Committee of Senate; two years of participating on the Students’ Union Board of Directors, as Vice President Internal and President; and five years as an undergraduate student at Thompson Rivers University. Melissa is extremely knowledgeable of the student experience, and has repeatedly proven that she will go the extra mile to do what it takes in order to improve the experiences for all students and ensure they are fairly represented within all levels of decision-making. Melissa is extremely motivated, and proud to be seeking re-election as President of the Students’ Union along with her enthusiastic, and experienced team – TRYOU. I am running for my fellow students who have dealt with the harsh reality of the academic system. I myself have found myself at TRU and I know I am not alone. My Academic career ahas been turbulant to say the least but ive been pushed down and got back up. I am 4th year English Major, Minor Fine Arts and plan to use that foundation for my B of Ed, once accepted. I respresent the my respected fields, as well as the disabled, for i am dyslexic; furthermore, although it may not look it, but i am aboriginal. On two occasions i found my self on the brink of poverty and homelessness and asked the union for help but was steered away to the Salvation Army and United Way. I am not resentful nor do I regret living out my car, I am not priviledged like my fellow candidates but my life experiences made me realize that there is ugly side of TRU that needs to be attended. I am the voice of the starving student, the lawyer working two jobs, the nursing student who wants field experience before they become doctors, and the mothers making a better life for their children. I know what I want, and i know what this campus needs. My main concern is the well being of the students that TRUly care about their future and the future of this campus. I will be addressing problems with councelling, advising, and medical, accordingly. I am putting my foot down, so everyone can keep their head up. No profile pic because I am you. Suryansh Vats, Is a 2nd year Post Baccalaureate in International Business leadership and is running to be the President. Suryansh is a determined, outgoing individual with a strong sense of leadership. Suryansh’s experience includes cultural president at his first university in India from years 2009-2012. As cultural president his responsibilities were: handling finances, finding sponsors and marketing to support the university, as well as implementing policies to aid cultural exchanges. He is motivated to make Thompson Rivers University a more equitable campus for everyone. Suryansh’s goal is to encourage strong social community for both domestic and international students that will empower and connect the campus, emphasizing networking and professional open events for students to attend. Gaining professional experience in the workforce by exploring new CO-OP options in various fields. He wants to create safer spaces by hosting monthly events on equity topics, and help break down barriers to accessing education by advocating more bursaries and grants, especially for marginalized groups of students. To implement his vision for campus Suryansh plans to focus on providing more accessible resources for students in need and consistently assess policies and encourage honest and progressive conversation. Though campus equity is important Suryansh would like to enforce a tuition cap for domestic and international students because of the rising tuition fees at TRU. As an international student he hope to encourage all students to come together and participate in campus community by supporting and motivating students to be active in school politics. He believes it is important for everyone to have a voice and an input in their vision for the university and what they would like to see either improved or implemented to make TRU a better place for students and faculty. Suryansh will go above and beyond for the students of TRU by ensuring an equal say to everyone. The Vice President External serves as the chairperson of the campaigns committee, is a member of the Board of Directors and a member of the executive committee. They also serve the provincial executive representative for the BC Federation of Students. The following students have been nominated for the position of Vice President External. On March 25, the Students’ Union hosted an all candidates forum. This video contains the opening statements, answer to the question from the electoral committee, and closing statements of all of the candidates seeking election to the position of Vice President External in attendance at the forum. Hii everyone, I am Yashvini Bankal, a finance student, and I’m running for the seat of External Vice President. If elected, my focus will be to improve food services, work on student participation in various cultural events and propose a better car parking policy. These three problems are my main focus out of the several more. I feel, every student at TRU face challenges on each of these topics but it is not brought to the attention of the authority and I would like to voice these challenges faced by each student at TRU everyday to the authority. Briefly explaining, I would like to find a resolution for students who pay for parking and are still unable to get a parking spot, I would also like to take a closer look at the price of parking. There are many of us who study on campus until late at night and can get very hungry but are unable to get food, I would like to propose alternatives for the same as well. Our student involvement in comparison to other universities is rather lacklustre as other universities receive more feed back from their student union. I think it is undebatable that student participation is key to any successful university. The problem is very transparent and must be tackled with haste. By applying changes in the course of my election we can together drastically improve the situation within our university. I want to get students feel more excited to go to school, expose them to more new activities on campus,and most of all be proud to be a student at TRU. I believe I can make a difference! Amber Storvold is a fifth year Bachelor of Arts Psychology major, pleased to announce that she is running for re-election as Vice President External of the Thompson Rivers University Students’ Union. She absolutely loves working with other students to make campus an affordable, sustainable, and increasingly more inclusive place for all people to attend. Amber’s time with the Students’ Union as the Vice President External and a member-at-large on the entertainment committee has given her extensive experience advocating on behalf of students. She has played a significant role in successful campaigns such as This Time We Decide, which helped to increase youth voter turnout in the 2015 federal election, and Fund the Future by presenting student’s post-secondary education budget priorities to the Provincial Government. As the Local 15 provincial executive representative to the Canadian Federation of Students British Columbia, Amber has worked with other student activist from institutions across the province on issues such as financial aid, and underfunding, and she hopes to continue this work. She also has a wide range of experience that makes her a valuable team member including the Student Caucus, TRU Senate, Degree Works Steering Committee, and serving as the student representative on the Stakeholders Advisory Group for the Kamloops Transportation Master Plan. Her variety of experience has given her the skills and knowledge to make successful positive changes for students at TRU. Amber is proud to be running as part of the TRYOU team, a group of incredibly committed students from a large variety of constituencies around campus. Amber believes that all students should have their voices heard and deserve to be represented, which is why she is so excited to be a part of such a diverse group. She recognizes the importance of student involvement in making successful changes at TRU, and will work to encourage as many students to become involved as possible. Amber knows that it is incredibly important for all students to have a productive and engaging experience while at school, and that they are able to have a say in the decision making that affects them. With TRYOU Amber is determined to increase student involvement and together they will work towards improving campus food services, guaranteed course offerings, environmental sustainability, and a more equitable campus. My name is Yingqiong Wu (Gloria), my student number is TXXXXXXXX. I am a MBA students in TRU. I am glad to have the chance to run for vice president of external students. I come from China, and I have been in Canada almost eight years. I used to stay in Ontario for six years at Brock University in St.Catharies for my undergraduate study, my major was Economics. After graduation I work at a real estate development company as a marketing planner. As a marketing planner, you always have to think about what the customer needs, and what is most important thing when they decide to buy something. This kind of working experience definitely will help me if I am the VP external, to understand the students better, what the most important thing they want the university provide them. However, I keenly conscious that my current academic knowledge is not enough for me to be a successful leader in my company. Therefore, I decided to push myself to get a higher degree of my study. So, I came to TRU. Since I came to the TRU, first thing, I study hard, and MBA is all about lots of teamwork, so build a good relationship with my classmates, and my professor also gave a good praise for me. I am also good at communicating and organizing, and always ready to help other students, which is fit the vice president of external of the Student Union. Moreover, I have a variety of hobbies such as tennis, yoga, piano, etc. I am sure that I am well qualified for this position. If I am elected as VP external, I will not let you down. I will try my best to make the Student Union more attractive by organizing different activities and meet your different demands as well. For instance, the most important thing for the students is have a good job when they graduate, so if I can win this position, I would like to earn more co-op opportunity for our students, so that it will help them more when they really get into the workplace. The Vice President Finance serves as the chair of the services committee, is a member of the board of directors, and a member of the executive committee. They also oversee the budget development process. On March 25, the Students’ Union hosted an all candidates forum. This video contains the opening statements, answer to the question from the electoral committee, and closing statements of all of the candidates seeking election to the position of Vice President Finance in attendance at the forum. Mwansa Kaunda is an International Student from Zambia in Southern Africa who is running for the position of Vice President of Finance. He is currently a second year student majoring in Computer Science and minoring in Business and Management. Mwansa was a candidate in the 2015 TRUSU elections and has spent the past year volunteering for the Services Committee and was chosen for the Director at Large position. During his time in on the Services Committee and as the Director at Large, Mwansa was a part of various TRUSU initiatives such as the Health and Dental Plan updates and the TRUSU EDU program. Mwansa believes that he will be the right candidate for Vice President of Finance because he has a lot of experience working with the Students Union as both a member and as a part of the Board of Directors. Since the Vice President of Finance runs the Services Committee, Mwansa has ample experience. Not only does his experience stem from holding a position in the Students Union, but he has also worked as an intern for a World-renowned bank. Mwnasa was also the Vice President of Marketing for the Finance Club in 2015. Previous experience within the Students Union and in many financial roles, Mwansa is an excellent candidate for the Vice President of Finance. With the points above the TRYOU slate will make sure that all students get a chance to get their opinions heard and implemented, so that we can make student experience one to remember. My name is Rahul Pujara and I am a first-year student post graduate diploma in Finance at TRU.I am from India and along with me, I do bring four years of experience working in the finance field. I have worked for different banks in India as well as in U.A.E. Along with my educational qualification, my personal interest leans towards finance and have been part of many events as a budget committee member for corporates.  I would like to be part of TRUSU and would like to serve in the interest of students as a Vice President- Finance of TRUSU. I have always been committed to the idea that if you want to see something changed or made better, you not only should pursue it, but you have a responsibility to engage your peers and to make that effort. I feel there are endless opportunities ahead for the Students’ Union. I am really excited about this position because it gives me the opportunity to engage and get to know students outside of the business faculty and further immerse myself in the community. I plan to serve you the student as you hold the title of the most valuable resource that this institution currently holds. My platform will emit a sense of purpose driven by the burning desire to help each and every student at TRU attain his/her highest goal. The Vice President Internal serves as the chair of the equity committee and the entertainment committee, they are a member of the board of directors and a member of the executive committee. On March 25, the Students’ Union hosted an all candidates forum. This video contains the opening statements, answer to the question from the electoral committee, and closing statements of all of the candidates seeking election to the position of Vice President Internal in attendance at the forum. Julian Simpson is a third year Bachelor of Arts student although forth year at Thompson Rivers University. Julian is a transgender/genderqueer First Nations person who uses the gender neutral they/them/their pronouns. They are running for the position of Vice President Internal for the TRUSU Board of Directors for the year of 2016/2017. Julian is running with the slate TRYOU, the slate means True You, being true to the nature and experience of students at TRU. TRYOU is a unique and diverse slate ad coming from such amazing backgrounds. Julian is excited to be running for Vice President Internal because they believe that they have the skills to help fight systematic and structural oppression at TRU and the community. Julian has spent that last year working with LGBTQIA2S+ students and folks in Kamloops, in hopes of mentoring and providing safe spaces for growth. Their slate is passionate about environmentally sustainable campaigns, like more bike racks and more sustainable options on campus. Another major one is guaranteed course offerings, it’s become apparent that students need to graduate on time and TRU is lacking in that matter. TRYOU is also hoping to improve food services on campus, sourcing locally more often and providing a wider range of food options for students. Lastly, a more equitable campus is apart of the slate, hopes of moving the campus to acknowledge the diverse student population, being removing the gender binary on paperwork and providing gender neutral washrooms for those who need it. Julian believes it’s time to empower the student movement to deconstruct the systematic and structural oppressions students face today. Julian has spent the last year as the current LGBTQ Representative as well as a Student Caucus member sitting on the Student Development Faculty Council and a student voice in the Sexual Violence Task Force and adding International Students on the Health and Dental plan. They’ve been busy providing student voice in numerous administrative and faculty related councils and sat on numerous student appeals, Julian is aware of policies and procedures at TRU and is confident they can navigate the system in hopes of replacing old structures with newer, more inclusive policies that benefit all students. They also have high hopes to bring amazing fun events to campus to help unite the student population and tie in the student movements! Julian is confident TRYOU is the slate for TRU and you! Gagandeep Singh Waraich is a first year student at TRU. He enjoys taking part in and volunteering for campus activities. He is a member of the TRU Students’ Caucus (TRUCU), Academic Integrity Committee. He is the student representative in this committee and his responsibility is to represent the student cases in front of the decision making bodies. He is also a part of the Sikh Club, and here he organizes and manages the events, and looks after the budget. Through these two committees, he has gained many communication and analytical skills that have increased his ability to work as a team, and be a great leader. He has learnt a great amount of team bonding experiences and feels this will really help him connect with the student body, and when decision making as a Board of Governor if elected. What motivated him to run for Board of Governor is the amount of TRU students who are dissatisfied with their rights, and even his own experiences within this institution. If he is elected, he will make sure that all voices of the study body are heard, and with this position he will be able to direct the affairs of the institution and set policies in accordance with the TRU Act. He will continue to make sure students’ voices are heard and a positive change is brought forward. He has acknowledged the issues brought up and have fully understood them, and he will continue to bring positive change for the students and try his best to make the right decisions for the student body of TRU. He would like to thank you all for taking time to read what matters to him and how he can help make this great institution a better place for all if the chance is given to him. The Aboriginal representative is a member of the equity committee and the board of directors. Candidates must self-identify as Aboriginal in order to be nominated for this position. On March 25, the Students’ Union hosted an all candidates forum. This video contains the opening statements, answer to the question from the electoral committee, and closing statements of all of the candidates seeking election to the position of Aboriginal Representative in attendance at the forum. Hello! My name is James-Dean Aleck and I come from the Okanagan tribe but I grew up on Ts’kw’aylaxw nation. I have been an arts student at TRU for 3 years now. I deeply care about my culture and heritage as it is deeply meaningful for me and the teachings from my elders (my grandparents) is what I take to heart. I have been studying theatre because I am passionate about acting and the pursuit of arts. I am campaigning for the position of the new Aboriginal representative. I want to raise awareness about my people and culture. More specifically, I want to respect our heritage through bringing more cultural art to the university, hopefully across the campus. If possible, pique the curiosity of other students and engage them in meaningful discussion about our origins and educate them about our people’s history. I am a very open-minded individual who likes to learn about different cultures and meeting new people and discussing art. I was raised by my grandparents and my Grandpa was the chief of Ts’kw’aylaxw nation and that’s where I get my love for public speeches. My grandma got me interested in art since I was two years old. While being raised by my grandparents, I learned a lot about my culture and my people. I just hope to be able to make sure that our culture stays relevant, visible and alive. If I get elected as the Aboriginal Representative, I will do my best to ensure the welfare for all the students and serve with utmost dedication. I look forward to this challenge with great enthusiasm. Rochelle DeLaRonde is a 3rd year Business Administration student, focusing on Human Resources and Environmental Economics & Sustainable Development. She is running for Aboriginal Representative, with the TRYOU team, for TRUSU in the 2016/2017 academic year. TRYOU is committed to work for the students of TRU to: offer guaranteed course selections, continuing to make TRU a more equitable & sustainable campus, and improving food services on campus. Rochelle is excited for the potential opportunity to work with her diverse TRYOU slate members to serve the students of TRU. TRYOU shares the common goal of working for the students of TRU, to make their university experiences as positive as possible. Rochelle is a member of the Tahltan Nation, as well as has strong Cree Nation descent. She is very proud of her lineage and is always actively learning about her cultures, as well as being open to learn about the diverse cultures represented in Canada. Rochelle loves to interact with people from all walks of life, she has the firm belief that a person learns a lot through listening to peoples’ stories. She is always willing to sit with people who are seeking more information on Canada’s diverse First Nations’ culture. She has a passion for travelling and creativity. She refers to herself as a “Creative Native” and has taken part in the past two IDays as a workshop facilitator. She loves to share her craft of beading with all who are interested in learning. Rochelle has a close relationship to the Gathering Place on campus, she served as an Aboriginal Mentor in the past. Rochelle is an active volunteer on campus. Always making efforts to bring unity and a sense of community within TRU. Rochelle would be honoured to serve the students of TRU in the upcoming academic year. Meduh. The Graduate Students Representative is a member of the equity committee and the board of directors. Candidates must be registered in a Graduate program at Thompson Rivers University in order to be nominated for this position. On March 25, the Students’ Union hosted an all candidates forum. This video contains the opening statements, answer to the question from the electoral committee, and closing statements of all of the candidates seeking election to the position of Graduate Students’ Representative in attendance at the forum. Deepti Sharrel Lobo is a First year Master of Business Administration student from India. She is running in the upcoming Student Union Elections for the position of Graduate Students’ Representative. Deepti believes the student council works side-by-side with the student body and the administration to ensure student events throughout the year are successful. As a Graduate Students’ representative, she will ensure that the students have a memorable year. She has worked with Dell Financial Services for five years and managed a dual role as an Accounts Receivable Analyst handling two teams. This experience enriched her knowledge and helped her grow as an individual and she is confident that the skills she has developed over the last five years will give her the guidance in serving all the students, specifically graduate students in accomplishing their program with the highest level of satisfaction. She is running with other members of the TRYOU, and is proud to be working on the platforms such as, environmentally sustainable campaigns, guaranteed course offerings, improve food services and a more equitable campus. Deepti’s passion for increasing the support for students and ensuring they have the best experience at Thompson Rivers University is reflected in the TRYOU Campaign. Hi, my name is Yash Thakker and I am currently pursuing my Masters in Business Administration. I have been studying at TRU for a year now. The school is great, the people are fantastic and the atmosphere is one that makes you actually want to go to school. Before I joined TRU, I was studying at University of Mumbai for three years. I am an interesting, fun loving guy with a good sense of humor. I am also a very principled person and stand strong on what is right and wrong. I want to be honest with you about my strengths and limitations, unlike some other people who would give you false ideas about who they are and what they can do for you. Academically, I am a student who likes to be intellectually challenged and I enjoy both hands on projects as well as conventional learning. I especially enjoy Computer and Social Sciences. Since September 2015, I’ve had the pleasure of serving as the Graduate Student Representative for SOBE. I hope to perform the same duties on a much larger scale, that’s why I’m currently campaigning to be your new Graduate Student Representative. Though my time here in Canada has been both tough and delightful, I’ve had the opportunity to coach Kamloops Youth Soccer Association. I had the chance to work with young, energetic individuals and teach them about teamwork, dedication and determination. I also work as a Resident Advisor at TRU on-campus housing and assist new and existing students in various day-to-day activities. I believe that my past experiences have prepared me to undertake this responsibility. I promise to do my best and nothing less if elected. Please come to the elections and vote for change. Cheers! The Graduate Students Representative is a member of the equity committee and the board of directors. Candidates must be registered as an International Student at Thompson Rivers University in order to be nominated for this position. On March 25, the Students’ Union hosted an all candidates forum. This video contains the opening statements, answer to the question from the electoral committee, and closing statements of all of the candidates seeking election to the position of International Students’ Representative in attendance at the forum. Chandan Sehgal is a 2nd year student from India doing Post-Baccalaureate Diploma in Accounting, and has completed his Bachelors in Commerce with first division marks. Chandan is passionate to announce that he is contesting for the position of International Students Representative position along with his team, ‘’TRYOU”! He is currently serving as a student representative on the Budget Committee of Senate (BCOS), and has recently been elected as a student representative to the Senate. Throughout the past year, Chandan has been an actively engaged student of Thompson Rivers University, especially within the Students’ Union. Chandan knows what needs to be done on the campus, and what a student expects from not only the university but their representatives. His personal experience as an international student allows him to understand all the difficulties which students face while studying abroad. That is why one of the main tasks of “TRYOU” slate are presenting the fair education policies for international students, improving food services, guaranteed course offering throughout the year, and an equitable campus for all the students. Chandan is committed to helping students in all ways possible at TRU with his diverse team “TRYOU”! I’m Anselm Wilson and I am standing for International Students Representative. I have been in the MBA program for the past 1 year and it has been a great experience so far. I believe I’m the right candidate for the International students representative because I have held leadership positions in Organisations like AIESEC which is an international brand across 112 countries. I was the VP Development sector and held key roles in organising many social events involving underprivileged children and build a future for them. In AIESEC I gained an important experience of working with people from various nationalities understanding their culture and building friends across borders of my respective nation. I truly believe that I am the right person who can really relate to the issues faced by the international students in TRU and especially the students who arrive new to the University and are clueless. I believe that the student union can more actively be involved with the new students arriving at the TRU and get them involved in various activities. I believe when people come together as a team and achieve something substantial they not only create a positive impact but also build a special bond with each other which lasts for a very long time. For the last one year I have gained so much from TRU, and my fellow students that I believe that I have enough expertise and experience to share with all the students from various backgrounds. The LGBTQ Representative is a member of the equity committee and the board of directors. Candidates must self-identify as a member of the LGBTQ community in order to be to be nominated for this position. On March 25, the Students’ Union hosted an all candidates forum. This video contains the opening statements, answer to the question from the electoral committee, and closing statements of all of the candidates seeking election to the position of LGBTQ Representative in attendance at the forum. Caitlin Orteza is a second year Bachelor of Arts student with primary interest in political science and social work who is running for the LGBTQ Representative position on the Student’s Union for the 2016/2017 school year. Caitlin is an active member of the LGBTQIA2S+ community on campus as well as within Kamloops as a whole, she is serving as treasurer for Kamloops Pride (formerly known as GALA) and looks forward to using her experience within the community to help create a more inclusive and accepting space for everyone, no matter how they identify. Over the past school year Caitlin was a member-at-Large for the TRUSU Equity Committee and has played an active role in planning and executing advocacy events for the university such as the annual pride parade on campus. Running with the slate TRYOU, Caitlin believes that every individual student has a voice that deserves to be heard, and needs that deserve to be met and therefore, she is extremely excited to be working with such a diverse slate that will be able to bring different perspectives to the table when representing students. Though Caitlin is looking forward to addressing all of her slate’s platform items: environmentally sustainable campaigns, guaranteed course offerings, and especially improving food services because she lives off of coffee, she is most passionate about providing an equitable campus for all as she believes that students have the right to not only a safe experience at TRU but a respectful, accepting, and fun experience as well. Caitlin is excited to be working towards constantly improving upon the experiences of all students, and knows that everyone on her slate feels just as passionately. The Women’s Representative is a member of the equity committee and the board of directors. Candidates must self-identify as a woman in order to be to be nominated for this position. On March 25, the Students’ Union hosted an all candidates forum. This video contains the opening statements, answer to the question from the electoral committee, and closing statements of all of the candidates seeking election to the position of Women’s Representative in attendance at the forum. My name is Briana Guise, and I am currently in the second year of my Bachelor of Business Administration program. My honesty and determination, combined with my willingness to consider all points of view; make me an ideal candidate running for TRUSU’s position of “Women’s Representative” on Student Union. I am confident that I would be a great advocate and follow in the footsteps of previous strong female leads growing up that have influenced me. As a soccer referee, I have had the opportunity to be mentored by the highest ranked female referees who have represented Canada on the world stage. This experience has taught me the importance of strong female leadership and how women need to work together to make progress in male dominated fields. I have also been mentored over the years by Acacia Schmietenknop, winner of the 2015 HSBC Women Leader of Tomorrow, during my involvement with the Kamloops Ambassador Program and TRU Enactus. With these experiences, I believe that I am the right person to represent the women on TRU’s campus as a Leader, Mentor and Advocate. Outside of school, I am an active volunteer in my community. Whether feeding the homeless at Pit Stop, volunteering in the community, or being part of various soccer events, I love making a difference in peoples’ lives. While attending university last semester as part of the Study Abroad program in Austria, I had the opportunity to meet people from varying race, cultures and backgrounds. I personally had a firsthand feel for the immigration crisis throughout Europe as I visited various countries during my exchange. As a result, these experiences have made me more aware and sensitive to the diversity of the world we are now becoming a part of shaping for the future. Sierra Rae is a 2nd year Natural Resource Science student, and is seeking a position in the Thompson Rivers University Student’s Union (TRUSU) Board of Directors as a Women’s Representative for 2016-2017. She is a proud member of the TRYOU slate, and will be campaigning for improved food services, guaranteed course offerings, campus-wide environmental sustainability, and an equitable campus. Sierra is involved in her community, and enjoys serving as a volunteer on campus as a part of the Student Caucus, in both the Steering Committee and The Parking Appeals and Advisory Committee. Sierra also works and volunteers for Thompson Rivers University (TRU) Research Greenhouse, where she assists on numerous projects. On campus, Sierra is a huge advocate for equality, and is excited to take on new ideas to make TRU a more comprehensive environment. She hopes to solve some of the current issues with women’s equity on campus, by making sure that women have a safe, inclusive, and active experience at TRU. Sierra will bring her expertise from her previous experiences and involve her knowledge as a part of the Student Union team. With a drive to serve her community and advocate for all students on campus, and to provide students with an ‘open-door’ policy, Sierra will work hands-on to represent all students on campus. *Helping the child to build self confidence, guide them when needed. Director-at-LargeBansal, SanchitBawazir, AboudGilbert, TatianaHaq, HumayraHickson, ColeKhadikar, KshitijSantamaria, LauraSingh, GunveetZaitlin, Michael S.
TRUSU has four positions for Director-at-Large. Directors-at-Large are members of the board of directors and members of two standing committees. The standing committees include the policy committee, services committee, campaigns committee, and entertainment committee. On March 25, the Students’ Union hosted an all candidates forum. This video contains the opening statements, answer to the question from the electoral committee, and closing statements of all of the candidates seeking election to the position of Director-at-large in attendance at the forum. Hello, I am Sanchit Bansal and I am running for the position of Director at Large. I am taking a post bachelors diploma in international business. The main issue I would like to solve as a director is the low level of student participation in extracurricular activities. I would also like to engage students to vote more in the student union elections. I feel many students, both Canadian and international, feel unattached from the student union and are unable to find clubs and activities they would be interested in. Unfortunately, students in other Canadian universities are more involved and get more from their respective student unions, while paying less in tuition fees. Several studies have shown that student engagement is a very strong predictor of success at university. I believe this problem is clear and easy to fix. By working to remedy the situation I can drastically improve the experiences of TRU students today and in the future. I want to get students involved, make them excited to go to school, and most of all be proud to be a student at TRU. I believe i can make a difference! Tatiana Gilbert is a second year Marketing major, pursing a Double Bachelor in Business Administration and Computer Science. She is Currently running for the position of Director at Large; Tatiana seeks to strengthen every student’s experience through TRUYOU’s diverse platform, such as: improving food services, having an equitable campus, guaranteed course offerings, and environmentally sustainable campaigns. She is heavily involved on campus and holds positions within TRU Toastmasters, Model United Nations, World University Service of Canada (WUSC), TRU Marketing Association and is a Study Abroad Ambassador. Tatiana has a passion for economic empowerment and the business development of students. She believes that her passions will make a positive change within the Student’s Union and student body as a whole. Humayra Haq is close to completing her second year as a Bachelor of Arts student. She has been actively involved at TRU through volunteering with student services and many other club activities. Humayra was appointed as a Member-at-Large for the TRUSU Entertainment Committee for the school year 2014-2015. She was also the vice president of TRUSU Bangladesh Club for the fall semester of 2014. Humayra has been recently elected as a student representative on the TRU Board of Governors for the school year 2016-2017.
improving the TRU community to the best of everyone’s interest. Their platforms include: making TRU campus more sustainable, having guaranteed course offerings, improving food services and having an equitable campus. A seat as a director-at –large at the TRUSU Board of Directors will give her the opportunity to actively participate in discussion to ensure that all the members’ needs are being prioritized. Humayra would like to thank everyone for their support for her nomination. Hi! I am a Kamloops local currently enrolled in the Bachelor of Arts, with my major pending between either philosophy and political science with an end goal of getting into law school. I consider myself motivated I consider myself motivated, enthusiastic, and fun, with a passion for understanding what is the right thing to do in any situation. With this approach, I will make sure ideas will be both scrutinized and fully formulated, in helping decide what is the best for the students as a whole. I am incredibly excited and honoured to be able to fully apply myself in the improvement to all aspects of student life on and off campus! Hello! My name is Kshitij Khadikar and I am currently an MBA student at TRU. I have been living in Canada for the past 15 months. Since coming here, I’ve had the pleasure to live in a diverse and multicultural environment, learn from great professors and meet new, interesting people. I am Laura Santamaria from the business capital of India, Mumbai; currently pursuing my Masters in Business Administration. I am a very creative, hardworking and energetic persona; zealously work towards any challenge that comes in my bucket. Multi-tasking is my forte and I take pride in it. I come with a diverse experience in corporate banking; volunteering work with visually disabled and running for NGOs like Garbage Concern to provide a sustainable environment. These platforms helped me deal with people from various backgrounds and nurtured me into a different person altogether. I was also a part of the winning team from MBA which brought TRU a silver medal in BC games last year, we gave a tough competition to all universities which were double in number to us. We students are the heart of Thompson Rivers University; I strongly believe Thompson Rivers University Students Union has a lot to offer to shape every students academics and curriculum. Also there are a lot of issues which are not currently dealt (affordable parking, Co-op for Graduates, sustainability) with at the Students Union and I have taken an oath to make every students journey in TRU an enriching experience. Gunveet Singh is a second year Master of Business Administration student from India. With a vision to remove all the impasses in the road of learning, growth and social sustainability, he is pleased to announce that he is running for the position of Director-at-Large. He is determined to act diligently in improving the quality of life of students. He is actively working as an Executive of TRU Student Caucus, Graduate Student Representative, Board of Director of India Club and previously worked as a Secretary of TRU Eco Club and International Student Representative. He has been constantly advocating for student rights and issues such as introduction of mid-day parking rates, health and dental plan for international students, student course evaluations and is committed to creating a positive university experience for students. He is running along a very diverse slate namely- TRYOU advocating for improving food services, flexible and guaranteed course offerings, fair academic policies for international students, relaxation in tuition fees and flexible refund policy, equitable and environmentally sustainable campus, affordable parking and improving academic advising services. He has a strong belief that TRUSU is the place where his skills and experiences can make a difference. Michael S. Zaitlin is a 2nd-year History, Politics and Economics student from the Okanagan. He is running in the election to fill the position of Director-At-Large and is proudly running alongside the other members of TRYOU. He will be working towards their slates important platforms such as environmentally sustainable campaigns, guaranteed course offerings, improve food services and a more equitable campus. He is a first-year member of the Students’ Union, Steering Committee and a student representative on the Educations Program Committee. He is also a member of the TRU history club and has been a part of events on campus, such as the PHP Conference and the Undergraduate Conference. His goals for Directer-at-large revolve around his passion for “being the change that you wish to see in the world”. He hopes to continue to achieve this by working with groups like the members of TRYOU who are devoted to improving TRU one platform at a time!